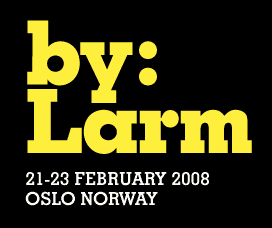 I’m going to be keynoting next month at by:Larm, which is basically Scandinavia (especially Norway)’s version of SXSW — big music conference with talks in the day and concerts in the night. I’ll be talking, not surprisingly, about building community amongst and with fans. I know some of my regular readers are musicians, run indie labels, or are otherwise involved in the music industry. I’m wondering if you might help me frame my talk by giving me some feedback on the main thing(s) you’ve gotten out of reading what I write about this topic, either in comments or emails. If you’d never heard me, what are the main things I’ve said or argued that you’d want to hear?